An extraordinarily powerful interplanetary event occurred on July 1 of this year. A rare conjunction of the two brightest planets seen from Earth peaked on the very same day as the July 1st full moon. Both Jupiter and Venus almost touched each other as they traveled across the nighttime sky. Some blogs even described how they even seemed to merge for a moment at their very closest point of conjunction. Quite significantly, this cosmic drama unfolded in the sign of royal Leo. 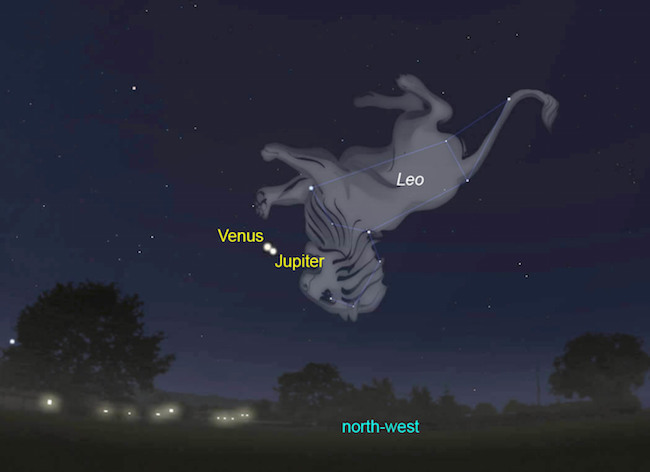 The sky graphic displayed below clearly shows how this unparalleled “Council of Two” took place right under the gaze of the astrological king — LEO — while Regulus, the brightest star in the constellation of Leo known as the “Heart of the Lion“, beats at an equal distance from the great celestial meetup. It is true that the stellar and planetary events which transpired on the first Full Moon of July may prove to be the most consequential in modern history. For those uninitiated in the arcana and lexicon of Vedic astrology, this will be made very simple. Also known as Jyotish, this predominant form of astrology practiced throughout all of India is known for its extraordinary predictive power. It is also favored over Western astrology for its superiority in the accurate examination of mundane matters, as well as revelation of earthly issues of great import. The short explanation here is that each of the major planets and luminaries represents a different deity who populate the pantheon of Hindu gods and goddesses. Two of the greatest of these archetypal spiritual entities are the two reigning gurus for the current race of humanity. One guru, the Guru to the gods, is represented by the planet Jupiter; the other guru, the Guru to the demons, is represented by the planet Venus. These two great spiritual masters (and mentors) rarely come together; however, when they do, it is to discuss only the weightiest of matters which will have profound and fundamental effects on the entire planetary civilization. The outcomes of the universally anticipated events are so earth-shaking and far-reaching that both Gurus — Jupiter and Venus — are literally compelled to meet in the night sky for all of humanity to see their urgent and deliberate conference. 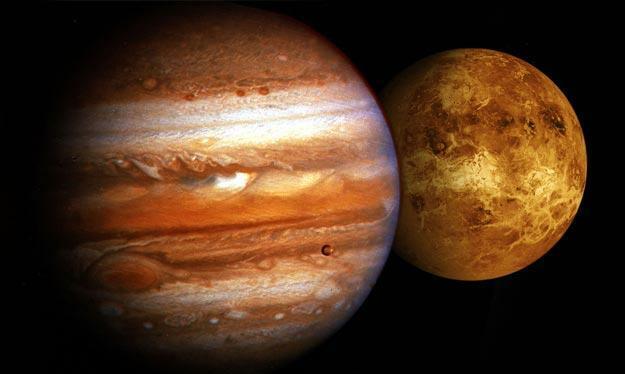 The two brightest planets — Jupiter and Venus — meet on July 1 of 2015. 1) Jupiter – Guru Brihaspati, the spiritual advisor to the Devas (aka Gods and Goddesses, which represent the forces of good in Hinduism. 2) Venus – Guru Shukracharya, the spiritual advisor to the Danavas/Rakshasas, which represent the forces of evil (aka Demons and Demonesses) in Hinduism. This meeting between the Guru of the Devas (Brihaspati) and the Guru of the Danavas/Rakshasas (Shukracharya) that happened this past June/July was a last minute deal … a last ditch attempt, if you will, to make peace and to prevent the collapse, conflict and/or conflagration that many have predicted to start this coming September and going all the way through 2023. In the past, the results of similar ‘planetary conversations’ have proven to be an omen for utter devastation … for both sides. However, I doubt that the meeting between Guru Shukracharya (Venus) on behalf of the Danavas/Rakshasas, and Guru Brihaspati (Jupiter) on behalf of the Devas, went well, because 1) Either they did not find an agreement that they can both agree on, or 2) The agreement or deal between the two sides is weak and tenuous, and most likely, either or both sides will break the deal. In essence, I got a bad feeling that the meeting between the two planets … the two advisors, did not go well, and so, either way, war and conflict is inevitable. Anyways, I wanted to mention this meeting between Jupiter and Venus – the advisors of the Devas and the Danavas/Rakshasas, respectively, that occurred back in late June/early July of this year, and see how this may play a factor in what you are and have been saying about the coming Shemitah for 2015/2016 and beyond that until 2023. If it is applicable, then you should definitely mention this meeting between Jupiter and Venus, as explained above, in a future article – preferably one that dates BEFORE the end of the current Shemitah on September 13th, 2015, and the start of the 70th Shemitah Jubilee or, at the very least, either immediately or shortly thereafter. What is particularly noteworthy about these uncommon heavenly dynamics is that they reflect a very real world and religious drama which has been enacted before. The historical setting was located in ancient India. The time was the end of the Dwapara Yuga (aka the Bronze Age) just before the transition to the Kali Yuga. The back story concerns the last ditch attempts that Lord Krishna heroically made to avert the epoch-ending war portrayed in the Mahabharata known as the Kurukshetra War . The kingdoms and armies of the Indian subcontinent, and beyond, were deeply divided into two camps at that time. The leaders of both sides were so entrenched in their respective positions that war seemed inevitable. Consequently, Lord Krishna felt compelled to make earnest overtures to the Kaurava clan on behalf of the Pandavas in order to negotiate a durable peace. The Kauravas, however, were hellbent on permanently usurping all lands of the Pandavas, as well as terminating all claims to future Pandava rule. Because those negotiations failed, a war to end all wars ensued. 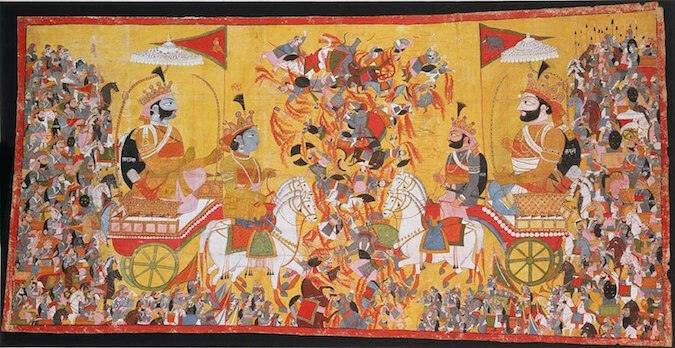 The Kurukshetra War is well described in the world’s longest epic known as the Mahabharata. Kurukshetra was the site of that fateful battlefield where Lord Krishna conveyed the Bhagavad Gita to Arjuna — the great archer of the victorious Pandavas. Well before the charioteer Lord Krishna ushered Arjuna’s chariot to the middle of the battlefield, he made every attempt to negotiate a peaceful settlement by directly pleading with Duryodhana, the evil king of the Kauravas who was relentlessly pushing the other kingdoms of Hindustan into war. With this historical context as a guide, fast forward to 2015. The civil war in the eastern Ukraine represents a similar clash between the much larger camps of the Anglo-American Axis and the BRICS Alliance. Some refer to it as the Clash of Civilizations; others call it the Great Game. This global conflict between East and West has been heating up for many years only to break out in the Donbass region near the Russian border. Vladimir Putin’s Russia has done everything possible to secure and maintain the peace. He has taken every initiative to find diplomatic solutions to one contrived false flag attack after another. 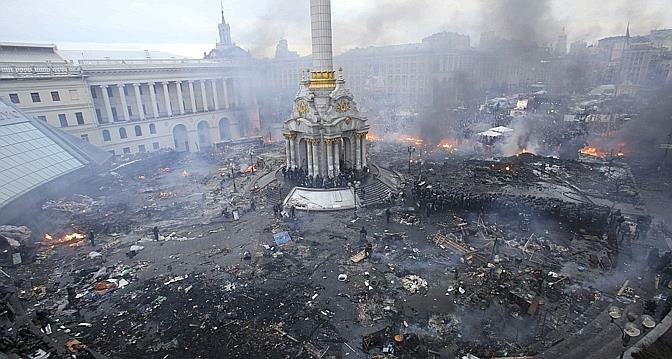 Barack Obama’s USA, on the other hand, has incited warfare at every turn by engineering a coup d’état in Kiev and encouraging the Ukraine government to perpetrate outright acts of military aggression against their own citizens. By goading the illegitimate and neofascist Ukrainian leadership to commit acts of war against their own Russian-speaking citizens, the CIA has not only started an ugly civil war within the boundaries of that nation, they have purposefully restarted the Cold War with Russia, with no end in sight. This quite purposeful strategy on the part of the rapacious Anglo-American Axis (AAA)* can be likened to the insatiable greed that pushed Duryodhana to wage war against the innocent Pandavas. The Pandavas only wanted what was rightly theirs — their modest ancestral kingdom and respect for their territorial sovereignty. Just as Russia demands the very same respect from the AAA, and China demands the same respect from the USA, and India demands the same respect from UK, the whole world has been polarized into two deeply entrenched opposing sides. *The Anglo-American Axis is represented, first and foremost, by the major English-speaking countries of the world: USA, UK, Canada, Australia, New Zealand and Israel. The European member nations of NATO, such as Germany, France, Italy, Spain, Portugal, Belgium, Luxembourg and the Netherlands are also closely aligned with the AAA as are all the Scandinavian countries. So are the Asian Pacific Rim nations of Japan, South Korea, Taiwan and the Philippines. Basically this ongoing War of the Titans is an apocalyptic battle between those who have and those who want what they have. Russia, China and India have; the USA, UK, Canada, Australia & Company want what they have. Russia possesses tremendous wealth in the form of land and other natural resources; so do China and India. Together these three nations are re-establishing the immensely prosperous Silk Road, which now represents so much more wealth and prosperity than it ever has in the past. The Anglo-American Axis has always coveted what was not theirs. Beginning with the British Empire, which was inaugurated with the incorporation of the East India Company in 1600, the Royal Navy set about the process of controlling the world’s trade routes and natural resources. Having inhabited a small island with very little land, and even fewer natural resources, the English monarchy was transformed into the most avaricious corporation of all time which operated out of the City of London’s Financial District. The British were responsible for creating the first version of the continental geopolitical chessboard known as the Great Game during what is known as the Early Modern Period (1500 – 1750). This ongoing ‘game’ has since been greatly expanded by the military arm of the New World Order — the American Empire — which has aggressively taken the whole enterprise global. The USA has in fact functioned as the world’s policeman for many decades operating as a glorified protection racket during what amounts to multi-decade crime spree. The true origin of what is known as the Great Game is far earlier than the second decade of the 19th century when it is officially said to have begun. It has always pitted the imperial forces of the West, especially the British and American Empires, squarely against the interests of the great nations of the East, particularly Russia, India and China. Simply put, the West has unrelentingly sought to steal the wealth of the East. However, the stakes are now higher than ever at this critical juncture of human history. Because of the utter predictability of the Shemitah phenomenon, especially the frequently prognosticated collapse of the Global Economic and Financial System, those forces behind the AAA are as desperate as they have ever been. All of the major players on the wrong side of the Great Game are truly facing existential threats. The closer those players are to the USA, the UK and the EU, the more risks and liabilities they are now confronting. Consequently, all of them working in the aggregate, just like King Duryodhana and his many allies of yesteryear, will stop at nothing to preserve their disintegrating kingdoms and empires. The AAA nations believe that their only alternative is to steal whatever wealth is left on the planet. Hence, their multi-century plan of orchestrated theft will culminate during September and October of this year. September not only marks the end of the Shemitah year on Elul 29, September 13th; it marks the beginning of the 70th Shemitah Jubilee (aka the Super Shemitah) as well. The energies associated with this particular Super Shemitah are such that 3 things will likely occur. The amount, intensity and pervasiveness of these three unavoidable developments is a function of karma — individual and global, national and tribal, religious and racial. The following list represents the three primary eventualities which are soon to overtake the earth realm. What is critical to understand here is that all of the aforementioned will occur to varying degrees across the planetary realm. There is no averting the most basic leveling that is destined to take place in the wake of this historic Biblical Shemitah Jubilee. However, the extent to which those countries have disentangled themselves from the AAA will determine the amount of financial hardship and economic depression that they will experience. One of the best ways to look at the AAA juggernaut is as a wagon train that is rolling inexorably toward a cliff. Whoever unhitches their wagon from the AAA train will be spared from going over the fiscal cliff. Even individuals and families, small businesses and non-profits can emerge from the Super Shemitah relatively unscathed, if they plan appropriately and take every precautionary measure. Some of those measures are delineated here. The crucial Jupiter-Venus convocation has taken place. Perhaps a mutual understanding has been reached … but, to what degree, is unknown to but a very few. How that understanding ultimately translates during this September/October remains to be seen. Likewise, how the agreements are interpreted and endure beyond that time frame, particularly in light of the rapidly evolving and highly kinetic 70th Biblical Shemitah Jubilee forces and energies, will dictate the severity of the oncoming Super Shemitah over the long haul. Hopefully, a 2nd Great Depression can somehow be averted. If one does occur, it will likely make the first Great Depression look quite tame by comparison. Therefore, it is recommended that every initiative possible be taken to mitigate its effects. Although many of the far-reaching ramifications of the Super Shemitah are certain to occur, many of them will have exceedingly positive and benevolent impacts. Those expected repercussions which bring pain and suffering can also be alleviated and ought to be addressed post haste, whenever and however possible. Clearly, THE STAKES ARE NOW HIGHER THAN EVER. In the words of an accomplished Vedic astrologer, whose predictions have been unusually on target, the following important insights are offered for the readers consideration. This is a month of radical shifts and changes. Contradictory forces are at work. The ancients look to Venus and Jupiter conjunctions as an indicator of war. Most know these as the great benefics but consider that they are first-rate enemies as they are the leaders of their opposing planetary camps. Also, I can’t help but notice the full Moon July 1, occurs in the nakshatra Purva Ashadha, which is known as the nakshatra associated with war. Another indicator is that Venus retrograde indicates a time of war and peace. It appears that nine months after Venus goes retrograde peace talks are needed. This is a very interesting time of negotiating peace after conflict. Fortunately, the second full moon in July, also known as a blue moon, occurs on Friday, July 31st and is known as Gurupurnima in Hindu India. In fact, this date — 7/31/15 — is an extremely auspicious day. It is a day that is specifically set aside to propitiate and pray to the great Gurus both present day and past. Regardless of your religious affiliation or spiritual orientation, whether you are an atheist or an agnostic, it would be time extremely well spent in prayer and meditation, chanting and selfless service, fasting and contemplation of the Scriptures. 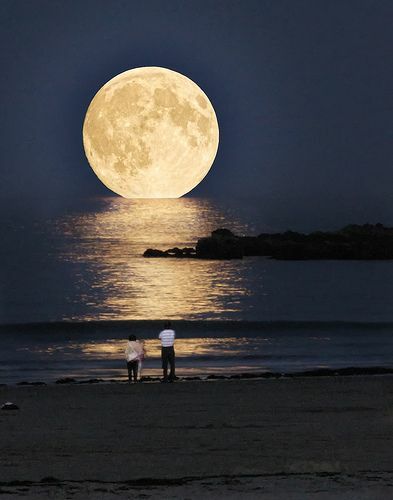 The Gurupurnima Moon of July is considered the most perfect Full Moon of the year. Even after July 31st, everyone ought to do everything possible to ameliorate the circumstances — both personal and collective — which serve to burden and oppress humanity. The Shemitah historically has been about release … particularly the release of debt. Therefore, the most fundamental dynamic, which will occur this year and next, concerns the release from debt in every sphere of life and at every level of society. Many have asked how they will know when the Shemitah has begun in earnest. It has already begun — BIG TIME! Look around. The world has barely recovered from the last Shemitah year of 2008 when the stock market crashed repeatedly throughout September and October. Rather than address the root causes of that Great Recession, the most superficial financial and economic symptoms were systematically treated with the purpose of forestalling another major collapse. Nevertheless, you can only “kick the can down the road” so long before the whole enterprise collapses under the weight of so many inherent problems and fatal flaws, pervasive defects and innate weaknesses. Just as the world watches the country of Greece retch and wallow in ungodly amounts of debt, the quite visible effects of the Shemitah are being felt … and seen by everyone. Just as the Chinese equity markets grew so fast from recklessly buying stocks on the margin, the Shanghai Stock Exchange is now reeling from the massive amount of debt that was incurred by those who went into debt to buy those now many lower-priced stocks. 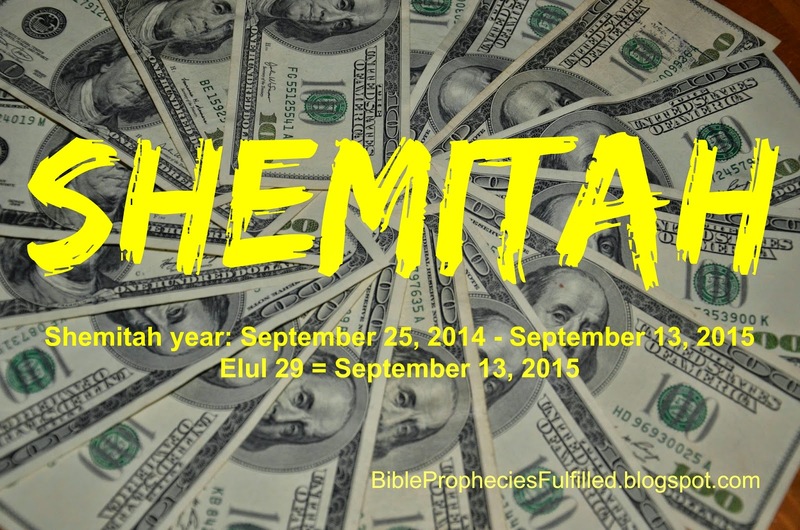 The Super Shemitah of 2015/2016 will be the single most consequential phenomenon of the 3rd Millennium to date. It behooves everyone to understand its historical context as well as its current form of manifestation across the planet. The following essays and articles provide that necessary background and other relevant information.